Jake Wilmes is going to talk about best practices for using Display Suite when building Drupal sites. As always we'll have plenty of time for Q&A and any other topics folks would like to discus. If you do have a topic you know you'd like to talk about let me know and I'll get it in the meetup description. We have a speaker or two lined up, we're just figuring out what the topics will be. This month's topic will be search and Michael Smith will be doing a presentation on it. We'll still have time for other folks to share anything they would like to as well as Q&A. Hope to see everyone there! This week we're going to be talking about performance. Michael Smith will kick us off with a bunch of techniques and lessons learned from lots of both small and large Drupal implementations. We'll have plenty of time for open discussions and Q&A as well. DrupalCorn is back for 2018! Read more about DrupalCorn is back for 2018! This week Jake Wilmes is going to talk about bulk importing content in Drupal 8. As always we'll have plenty of time for Q&A and open discussion about any topic you might have. This month we're going to talk about Docksal (https://docksal.io/) and maybe some alternatives like Lando (https://docs.devwithlando.io/). 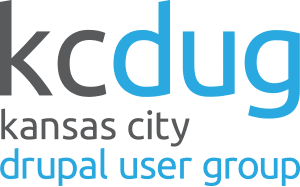 Be sure to bring any questions or ideas you might have about local development (or anything Drupal related), should have plenty of time for Q&A. This month we'll take a look at some of the “headless” bits of Drupal - the built in REST functionality, some contrib modules that enhance the core functionality, distributions created for disconnected applications, and maybe even look at using graphql. We'll have plenty of time for Q&A and general discussion too.